Navigating a car accident claim in Bellevue can be expensive, stressful, and time-consuming without a qualified and highly recommended car accident attorney. A good lawyer can help you build a strong case, manage communication with insurance companies, and help you manage your affairs until your case concludes. 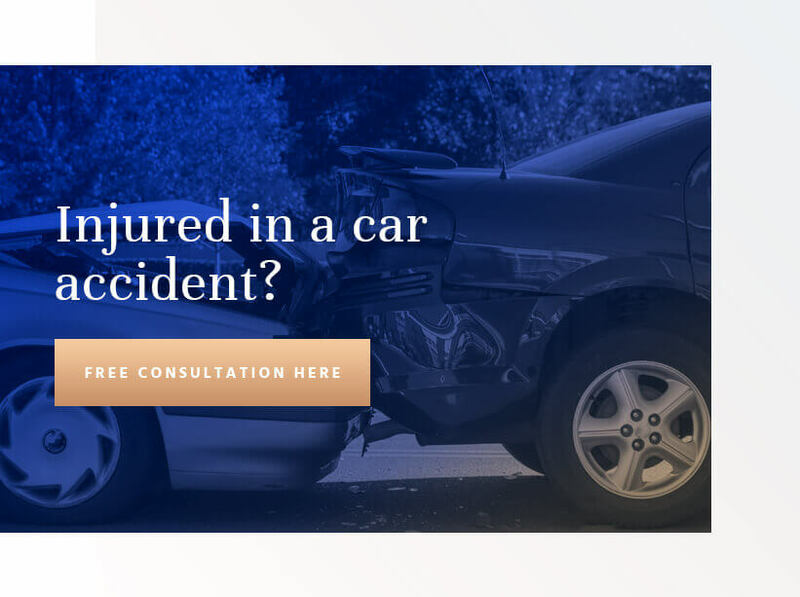 If you or a loved one recently suffered injuries in a car accident in the Bellevue, WA area, contact Colburn Law today to schedule a free and confidential case evaluation with one of our attorneys. In 2016, the Insurance Institute for Highway Safety reported that there were 504 fatal car accidents causing 537 fatalities in the state of Washington. Residents of Bellevue, WA need to know what to do after a car accident and their options for legal recourse when a negligent driver causes injuries and other damages. The Bellevue personal injury attorneys at Colburn Law are here to help injured drivers recover their losses through personal injury claims, so contact our firm today to learn more about how our legal services can help with your case. Your success as a plaintiff in a personal injury lawsuit for a car accident hinges on your attorney’s ability to prove that the defendant in the case was negligent, and his or her negligence directly resulted in the accident and your damages. It’s essential to gather evidence that not only proves the extent of your losses but also that those losses only occurred due to the defendant’s actions and not another cause. Distracted driving, such as using a cell phone behind the wheel. Moving violations, such as failure to signal or running a red light or stop sign. Failure to keep a vehicle in a safe and functional order. Operating a vehicle under the influence of alcohol. Under Washington’s pure comparative negligence statute, a plaintiff may still recover damages even if he or she is partially at fault for the accident. The plaintiff simply loses a portion of the case award equal to his or her fault percentage. In a $10,000 claim in which the plaintiff is 25% at fault, the plaintiff loses 25% of the case award for a net total of $7,500, instead. There are several factors that go into calculating a car accident claim’s value. The easiest to discern are the economic damages, or the measurable losses resulting from an incident such as repair bills, hospital invoices, and lost income from time spent in recovery. Non-economic damages for things like pain and suffering are more difficult to estimate. Different courts use different systems for calculating pain and suffering, typically multiplying the plaintiff’s claimed medical expenses by a certain amount and awarding the result, or awarding “per diem” compensation for each day until the plaintiff reaches maximum possible recovery. Medical expenses. An injured driver can claim the costs of necessary medical treatment for injuries resulting from an accident with a negligent driver. Lost income. If the plaintiff must miss work during recovery, the plaintiff can claim the income lost during this time. Property damage. The plaintiff can claim the costs of repairing or replacing a damaged or destroyed vehicle. Punitive damages. A jury may award punitive damages if a defendant’s behavior was intentional or grossly negligent. The amount of punitive damages the plaintiff receives typically hinges on the financial status of the defendant. A wealthy defendant should expect to pay more in punitive damages.